gotta keep workin hard yeah!!!! So far my day is off to a not so good start. My school just held an emergency drill at 7 am, and we all had to leave the apartments and res halls and stand outside for about 45 min. Now I'm back inside and I can't go back to sleep. Plus I think I'm getting sick, ughhh. I should use this time to finish up my paper but I thought I'd come rant a little here. tell me about it few days ago my hostel's alarm went off too and I had to stand in the cold wind for about 45 mins too and it was 1 freakin am!!!! 1am? That's even worse >< Yeah, I hate these things. Urgh! someone stop me I think I'm obsessed with american apparel skirts! I fell down and a lot of bleeding in the day before. after all, I had three stitches in my forehead. I feel okay. Thank you. graduating tmr !!!! !Can't wait to get my results the day after that. F*CKIN YES!!!!!!!!!!!!!!!!!!!!!!!!!!!! !I GOT INTO UNI!!!!!!!!!!!!!!!!!!!!!YEA!!!!!!!!!!!!!!!!!!!!!!!!!!!!!!!!!!!!!!!! Congratulations!!!!!! =D Graduation AND getting into university!!!!! Reminds me of when I was applying for college....dark times...lol. June 2nd, 3rd, and 4th I will be seeing several Japanese punk rock bands and a few from Europe and the USA perform. They are all mostly underground, with the exception of one. There are some others, but these are the ones I care about. Very excited to go. Happy Birthday to me yesterday! Hello life!Let's continue to work hard together !!!! I was just thinking that I signed up for the first time in this forum when I was like 16 years old, and now I'm 20 and I'm still visiting... That's a long time!! I was 26 when I first discovered Tommy, and now I'm 31. Today, I woke up with an alarm in my mobile saying "Tommy's Birthday", as I was still a bit asleep I started wondering who the kisses was Tommy and how I met him/her, and then I realised it's our dear Tomoko's birthday!! 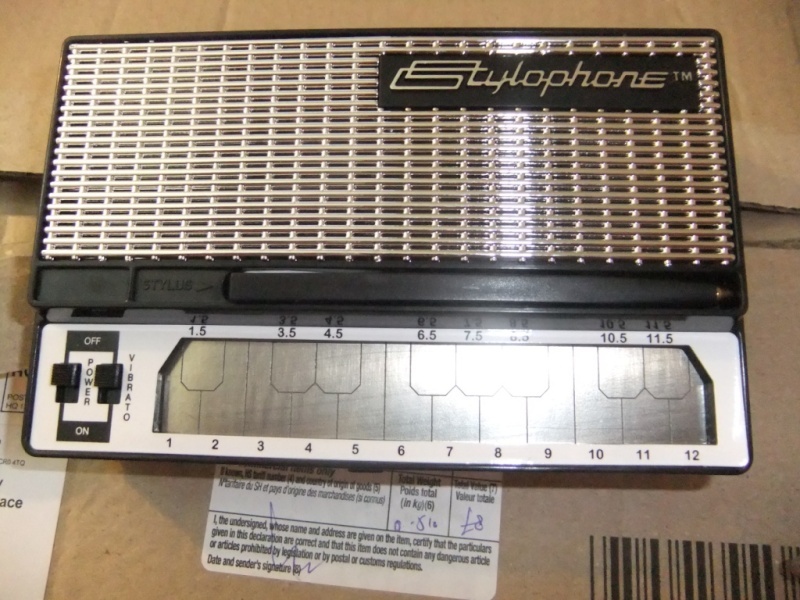 and the stylophone i ordered just arrived!! ole!! three cheers for firebox.com! it's ridiculous how expensive it is to buy a stylophone in australia, while ordering one from england+shipping is loads cheaper.